If you lose your AHA Card within the 2 year period, we will issue you a replacement card as long as you took the class with us. 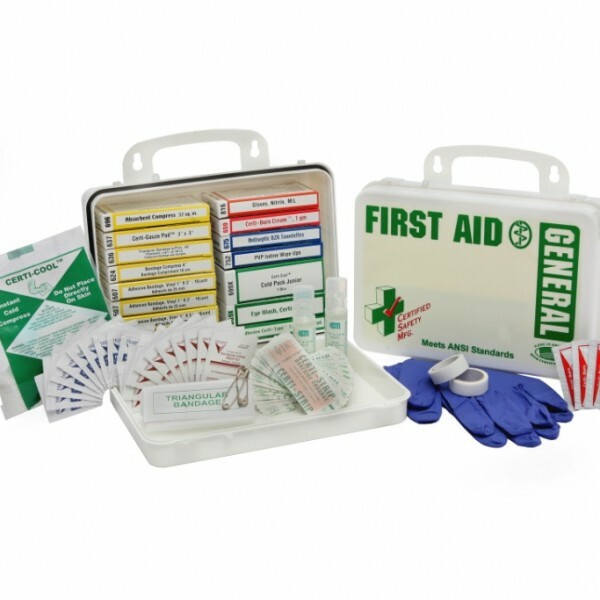 Our General Purpose Series first aid kits features a fill with the most practical assortment of first aid supplies. 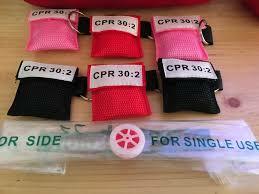 These unitized kits have tight fitting packages to keep the kits and CPR Supplies neat and organized. Front pockets measure 10”x 13”x 3” and the lower pocket has elastic loops on the inside. The upper pocket comes with a zippered pouch on the outside. On the sides it features two pockets 19”x 7”x 4”. The pocket on the right comes with dividers and the pocket on the left comes with 4 standard size removable pouches as seen in the photo. Upon opening the large pocket of the bag you see three large utility pouches and one extra large utility pouch. On the bottom of the bag is a strap to hold a D tank Cylinder. 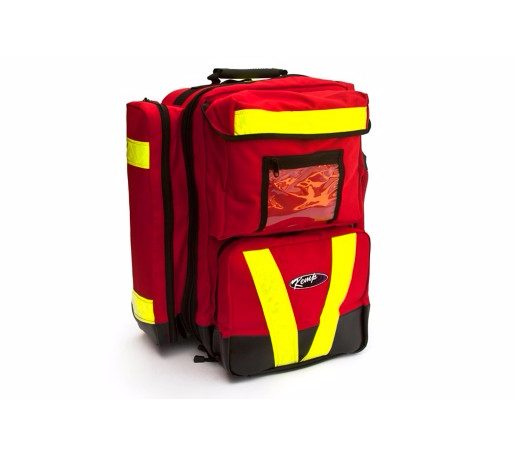 This bag comes with molded feet on the bottom for extra protection and handles if the person decides to carry it. It’s a handy addition to your collection of CPR Supplies. Defibtech has designed a revolutionary new Lifeline semi-automatic external defibrillator, from the ground up. Technologically advanced enough to include all mission critical features necessary to provide the most advanced treatment for Sudden Cardiac Arrest. Yet so simple and unintimidating to use that even non-medical personnel can effectively save lives. The Lifeline AED was developed by experienced multidisciplinary engineering teams and incorporates state-of-the-art digital signal processing techniques and advanced ECG analysis algorithms. This enables the device to exceed the American Heart Association performance recommendations, giving the user confidence the correct therapy is being delivered. The Lifeline AED defibrillator uses advanced biphasic technology — including the most studied biphasic shock waveform — and automatically adjusts the shock delivery to the person’s individual needs. 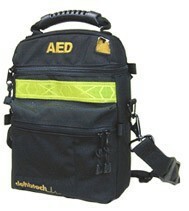 For first response professionals like police, fire and EMS, the Lifeline AED is standard equipment. For schools, offices, stores, malls, factories, and public places, it’s becoming as vital as the fire extinguisher. SUDDEN CARDIAC ARREST is the abrupt loss of heart function in a person who may or may not have diagnosed heart disease. Each year, sudden cardiac arrest strikes more than 400,000 people – and without intervention, less than 1% of victims survive. In fact, it is the leading cause of death in North America, affecting people of all ages anytime and anywhere. Chewing aspirin at the first sign of a heart attack may save a life!! 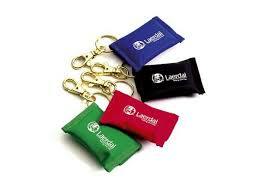 CPR Key Chain features an easy to use barrier with a one-way valve preventing mouth-to-mouth contact. The rescuer has peace of mind knowing that he or she is protected from the possibility of cross-contamination. An important addition to your collection of CPR Supplies. 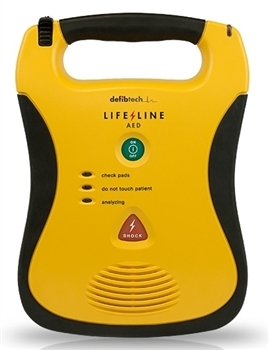 Defibetch Lifeline AED, 5 Year Battery, 1 Adult Electrodes. If CPR and defibrillation from an automated external defibrillator (AED) occur within 3 minutes of sudden cardiac arrest, chances of survival can increase to 70%. 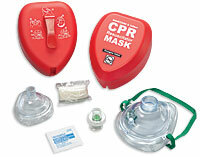 AED technology is so powerful that most CPR training courses now include a section on using AEDs. An yet, in a crisis, there is no time to read a manual. 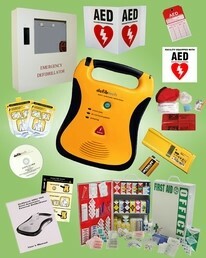 Fortunately, the Defibtech Lifeline AED is simple, clear and easy to use. The Defibtech Lifeline AED is built to exacting medical standards – but it is also designed to be fast and simple for anyone to use. The Lifeline AED was developed by experienced multidisciplinary engineering teams and incorporates state-of-the-art digital signal processing techniques and advanced ECG analysis algorithms. 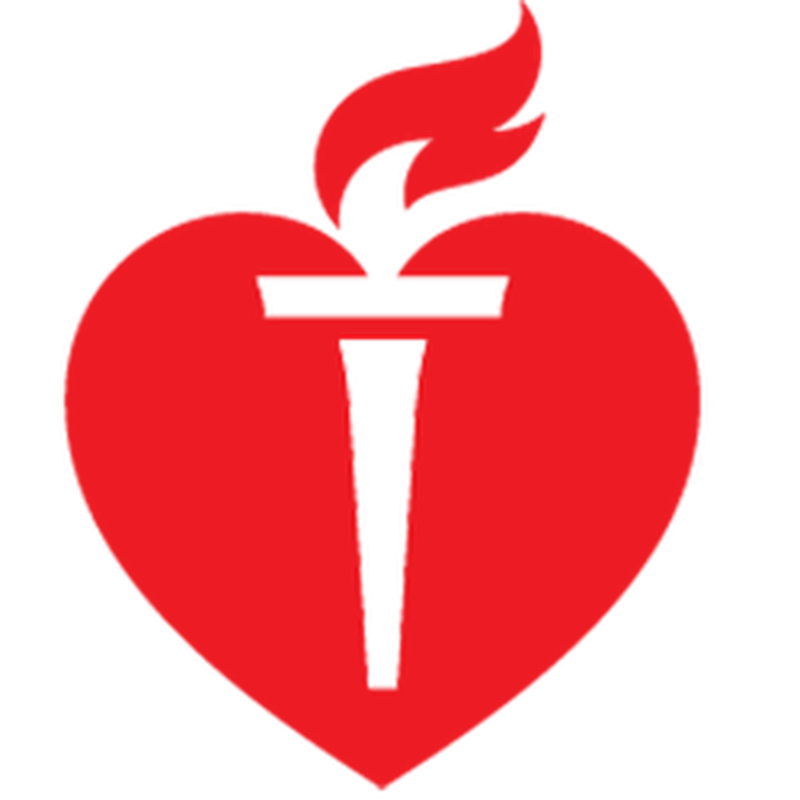 This enables the device to exceed the American Heart Association performance recommendations, giving the user confidence the correct therapy is being delivered. The Lifeline AED defibrillator uses advanced biphasic technology — including the most studied biphasic shock waveform — and automatically adjusts the shock delivery to the person’s individual needs. For first response professionals like police, fire and EMS, the Lifeline AED is standard equipment. For schools, offices, stores, malls, factories, and public places, it’s becoming as vital as the fire extinguisher. Add this to your collection of CPR supplies.